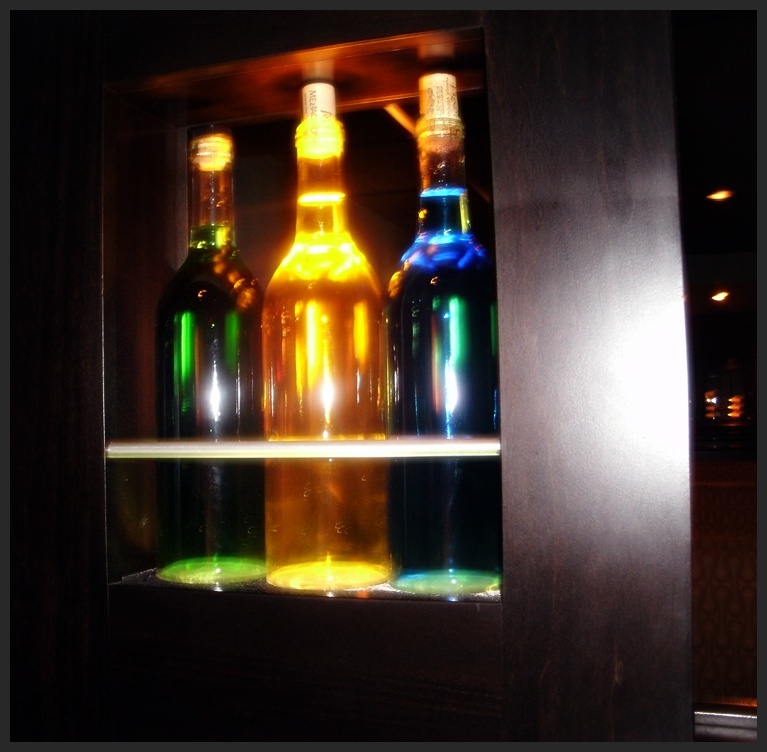 The Melting Pot – Providence, RI – Gay & Lesbian Hotspot! 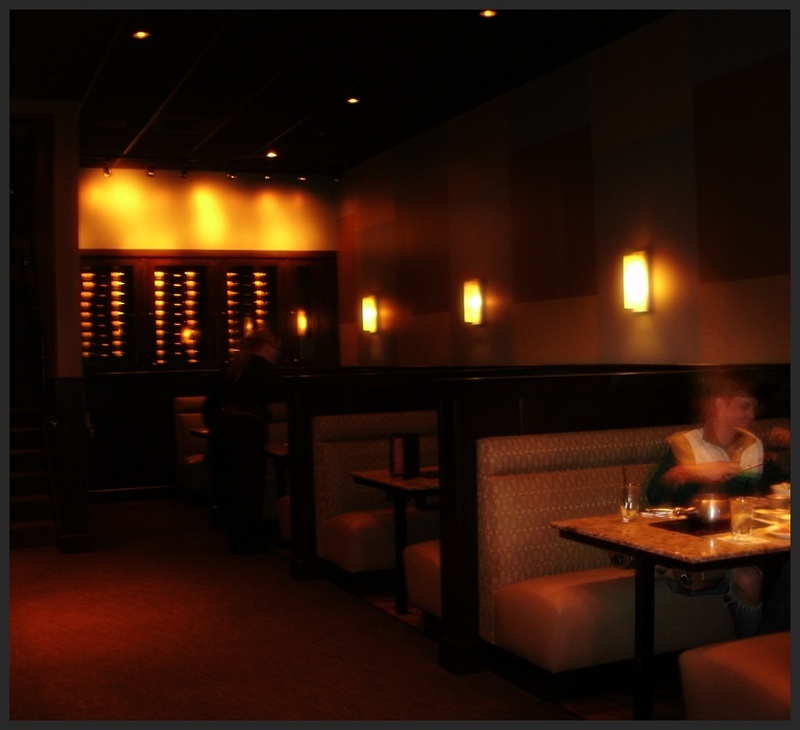 Dining at The Melting Pot is a special event. It doesn’t matter if you only stop in for their delicious chocolate fondue dessert or go all out with their Big Night Out Four-Course Dinner. It is unlike any other dining experience. 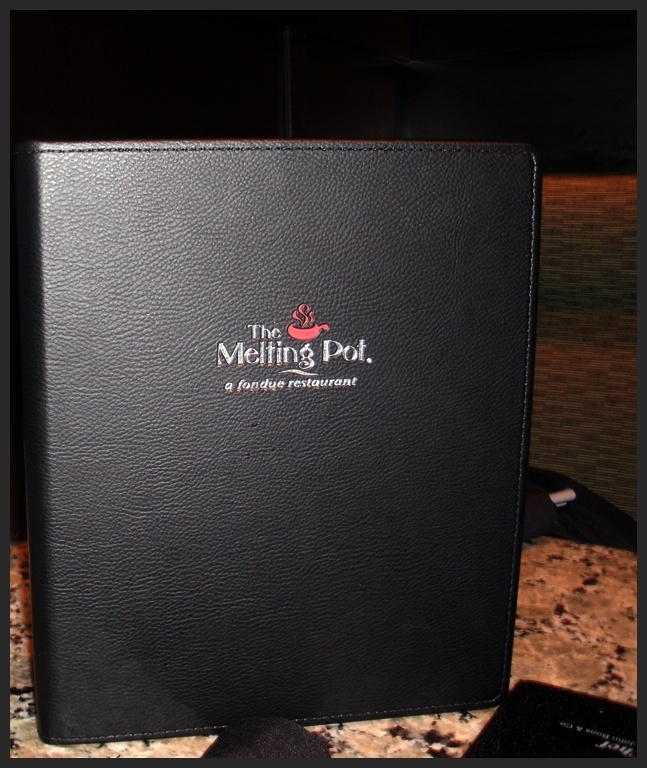 Last Friday I had the pleasure of dining at The Melting Pot in Providence, RI (located at Providence Place Mall). It had been awhile since I had experienced a Melting Pot (the last being several years ago in Miami). I was genuinely looking forward to the experience and was happy to bring my mother along for the journey. 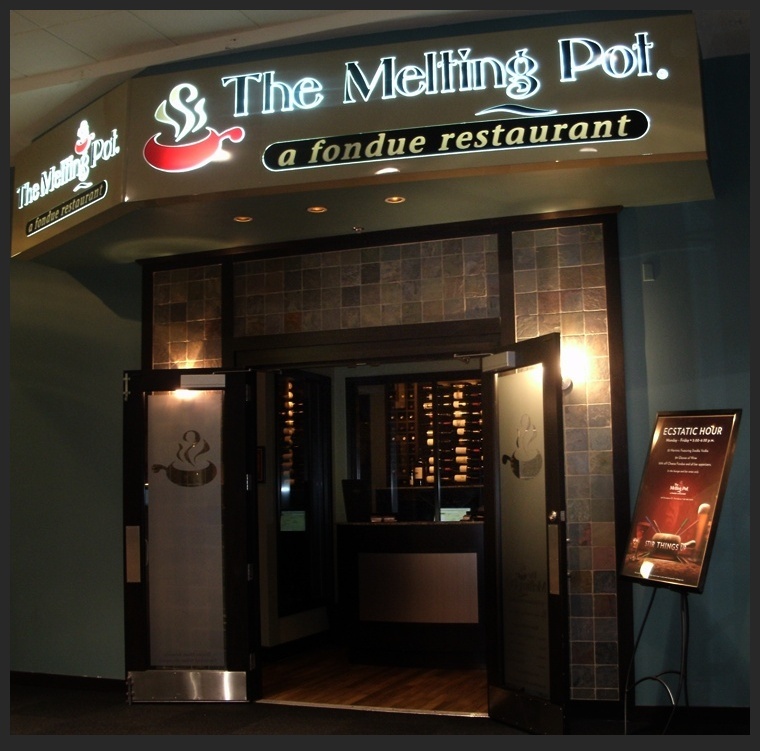 The Providence Melting Pot is conveniently located on the lower level of Providence Place Mall. It is accessible from both inside and outside. The moment you walk inside you know you are in for something special. The ambiance is urban chic. Rooms are dimly lit and private. Also, the restaurant is much larger then it appears at first. 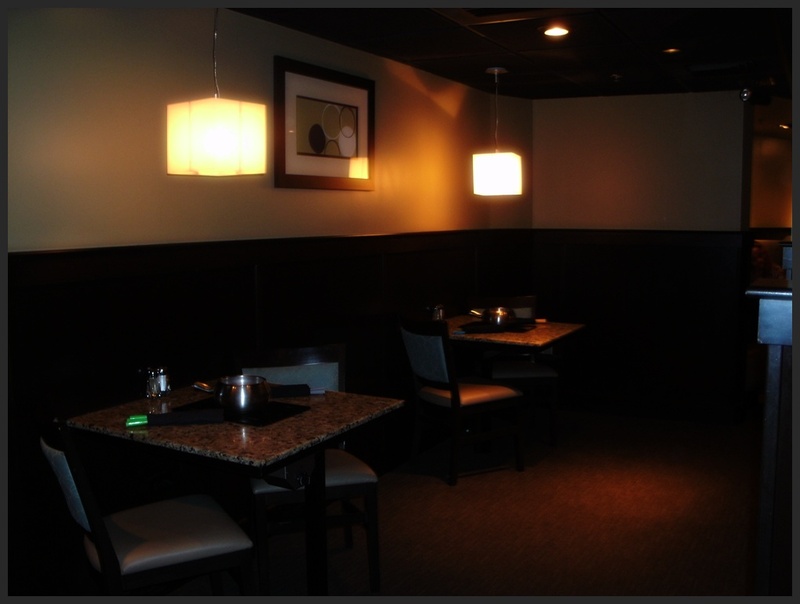 There is a bar area, special function room and even a section called “lover’s lane” for “extra cozy” dining. The feel is casually upscale with a touch of Vegas (thanks to the pleasant lounge-type music softly playing in the background). 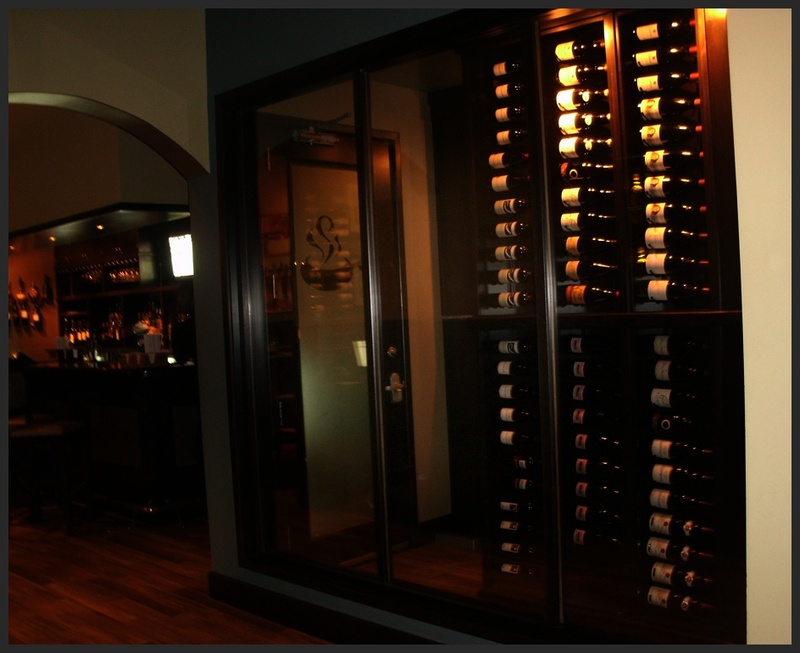 The Melting Pot is the type place you WANT to get dressed up for, but casual clothing is more than welcome. We were shown to our table by the lovely hostess, Nicky. Nicky was extremely personable and felt like an old friend. She was just the beginning to a night full of excellent service. Our waiter, Keith, was an expert in explaining menu items as he has been with the Providence Melting Pot since opening almost 3 years ago. It didn’t take my mother and I long to decide on The Big Night Out Four Course Meal option. For the first course you choose your cheese fondue. We chose the Traditional Swiss Cheese Fondue with Gruyere & Emmenthaler Swiss cheeses, white wine, garlic, nutmeg, lemon & Kirschwasser. 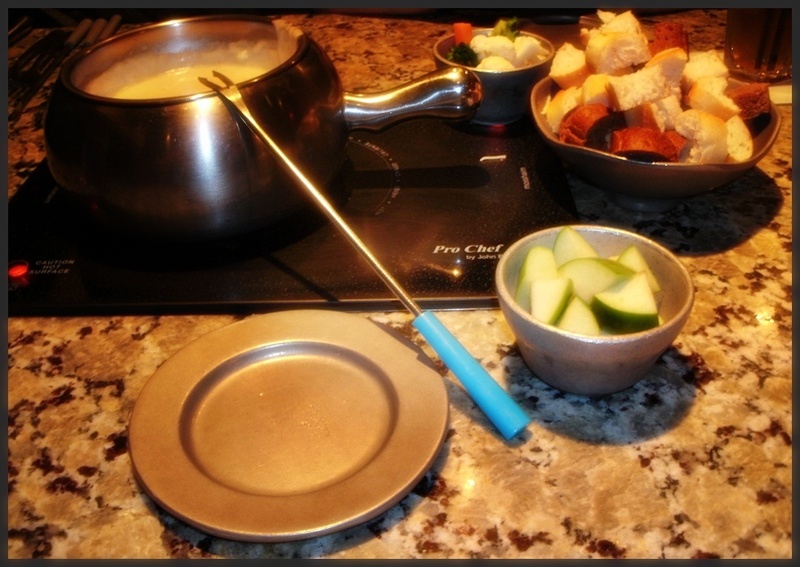 The cheese fondue is served with fresh breads, vegetables and apples for dinning. Our waiter, Keith, prepared the cheese fondue at our table and as the cheese started to heat up, we dug in! The bread and cheese was a heavenly combination! Our second course was salad. We both chose the California Salad with mixed baby-salad greens, Roma tomatoes, walnuts, Gorgonzola cheese & Raspberry Black Walnut Vinaigrette. We absolutely loved the salad and was impressed with its ample size. 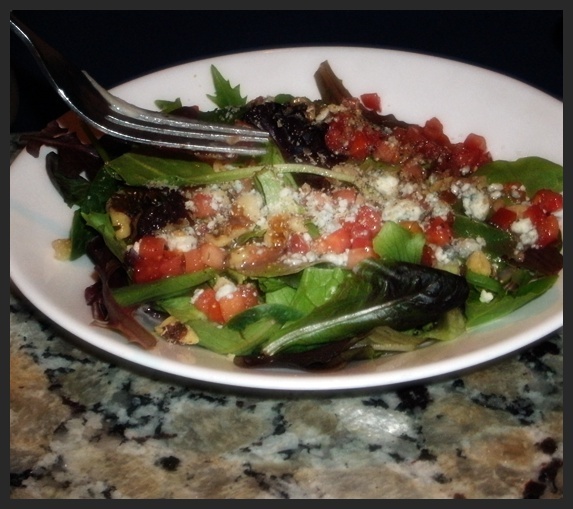 Everything was so fresh, but the Raspberry Black Walnut Vinaigrette was out of this world! Our third course was the Lobster Indulgence which came with the following: Cold-Water Lobster Tails, Chimichurri Sirloin, Garlic Piri Piri Shrimp, Mole-Marinated Chicken Breast, Citrus-Marinated Pork Tenderloin and Fire-Roasted-Corn-Salsa Ravioli. The cooking style we chose was the Mojo (Caribbean-seasoned bouillon with a distinctive fresh-garlic flavor and a citrus flair). This was the BEST course, by far! They give you just the right amount of meat which you dip into the boiling pot of bouillon and cook, on average, 2-4 minutes, depending on type of meat. You are also given red fingerling potatoes, vegetables and a variety of homemade dipping sauces. FYI — I recommend dropping the potatoes & veggies in the pot as soon as you get them as they take longest to cook. My mother, the seafood eater of the duo, couldn’t say enough about the quality of the lobster meat & shrimp. They give you a very generous portion. If you are a seafood eater, it is well worth the extra $10 per person. 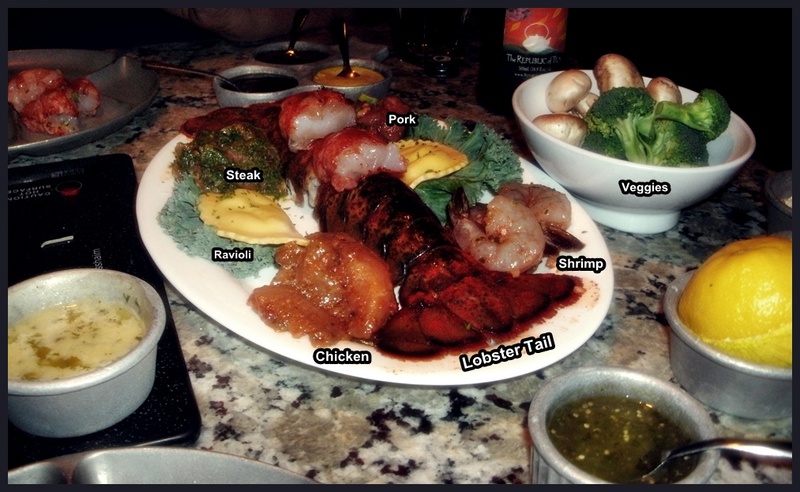 The shrimp are plump and juicy and the steak, pork and chicken were all thinly sliced and cooked up perfectly. The Fire-Roasted-Corn-Salsa Ravioli was a nice accompaniment, however, be sure to keep your eyes on them while cooking as they break apart easily. During our main course the very charismatic manager, Andrea, stopped by to see how we were enjoying everything. I think it is safe to say by the expression on our faces, and two thumbs up, she could tell we were enjoying ourselves quite a bit. Andrea and I were able to talk about the success of the Providence location and how it is absolutely necessary to make a reservation on a Friday and especially Saturday nights as waits could be in excess of 3 hours! We talked about The Melting Pot’s function room which could seat up to 50 people and is perfect for small parties and special occasions. She even mentioned that a couple was getting married at The Melting Pot later this summer! Yes, the Providence Melting Pot is one happening place and rightfully so! The fourth and last course was the Chocolate Fondue Dessert! We chose the Chocolate S’mores Fondue with milk chocolate topped with marshmallow cream, flambeed and garnished with graham cracker pieces. Oh, yes. It is as good as it sounds! 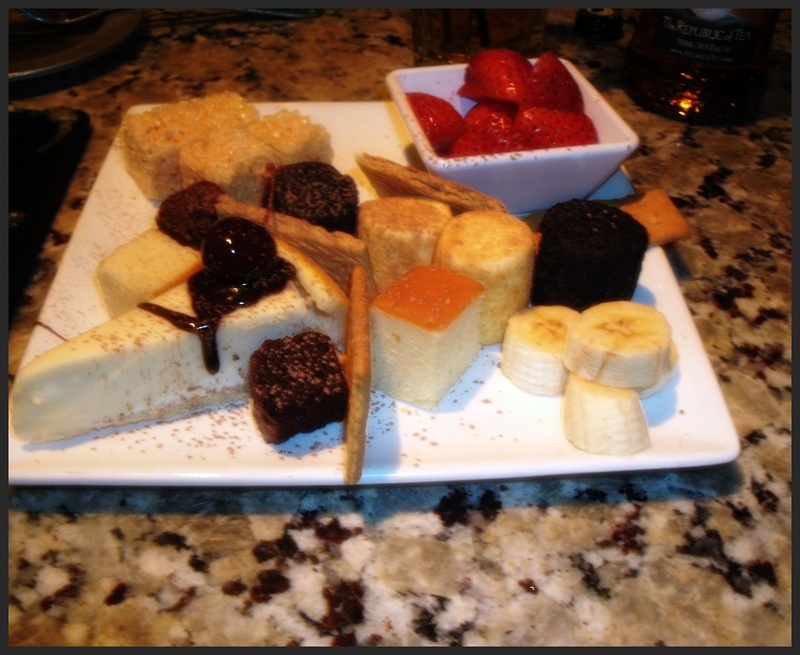 The fondue is served with fresh strawberries, bananas, cheesecake pieces, Rice Krispies Treats, marshmallows, pound cake and brownie bites for you to dip into the decadent chocolate-fondue creation. The chocolate was rich and creamy and heated to just the right temperature. Also worth noting is the freshness of the strawberries which were soft and extremely sweet. The cost for this Four Course Feast is $46 per person and well worth every penny! I actually think this is a great value considering all the food you get and the experience itself. If you aren’t in the mood for all four courses, you can order ala cart. Some people stop in for cheese fondue and wine, others for a dessert and drink. The choice is yours! We had such a great experience. Between the staff, ambiance and food, it was truly a perfect BIG NIGHT OUT! 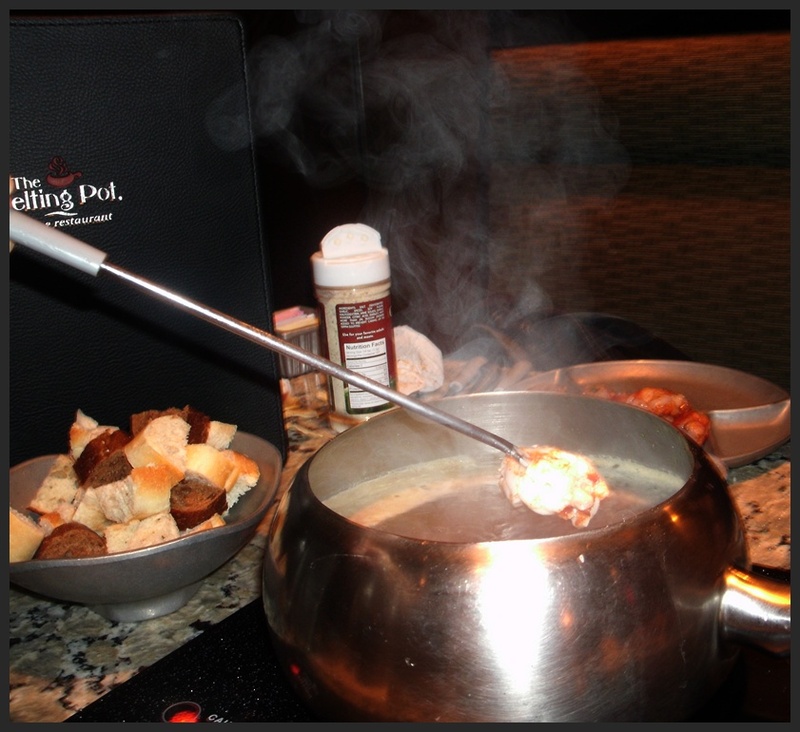 The Melting Pot is open Monday-Thursday 5pm-10pm; Friday 5pm-11pm; Saturday 12pm-11pm and Sunday 12pm-9pm. 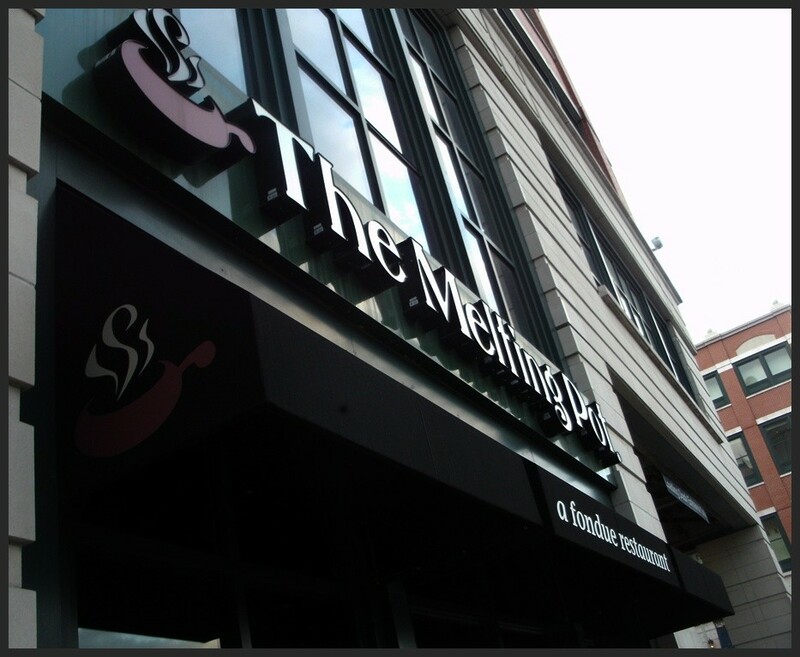 The Melting Pot is located on the lower level of The Providence Place Mall, on the city side of Francis Street. The Melting Pot offers specials & events throughout the year including “Girls’ Night Out” on Select Tuesdays which include a three-course fondue menu & champagne toast for $30; “Ecstatic Hour” Monday-Friday between the hours of 5:00-6:30pm with $3 Svedka Martinis, $4 glasses of Cupcake Wines, 50% off all bar appetizers & cheese fondues; “Fondue & a Flick” Monday-Friday (6pm and before on Friday) and enjoy cheese fondue, salad, chocolate fondue and a ticket valid at Providence Place Cinemas for $30 per person; “Date Night” – Cuddle up to cheese fondue, salad, a Fondue Feast entree, chocolate fondue and a bottle of wine for $100 per couple. 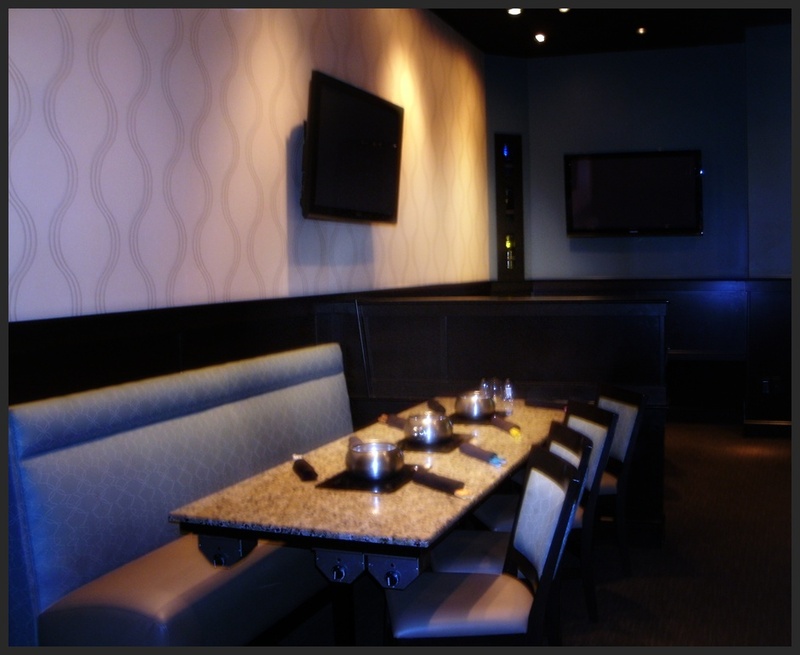 The Melting Pot is a perfect location for special type parties including birthday or anniversary celebrations, graduation parties, bridal/baby showers, Bachelorette parties, holiday parties and more! Be sure to join CLUB FONDUE which will keep you up-to-date on special events. You will also receive a complimentary chocolate welcome gift with the purchase of any Big Night Out or the combination of any two individual entrees and a cheese fondue. Gay & Lesbian Factor: The Melting Pot is one of the most active franchises reaching out to the LGBT community. I recently read an article in Echelon Magazine that mentions Melting Pot as a sponsor of www.gayfranchise.com. The magazine writes that The Melting Pot opens its doors to embrace the opportunity to connect with the LGBT community. It understands the importance of diversity. They also recognize the gay community demographics embody’s the many attributes they look for in a Melting Pot franchise owner, including – personality, business experience, finances, marketing, savvy and entrepreneurial spirit. 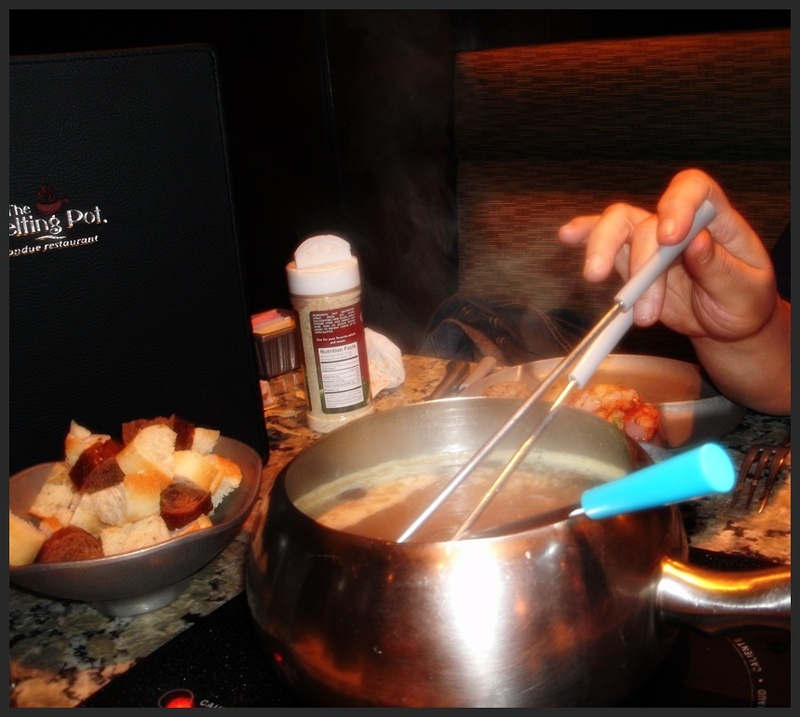 Their name “Melting Pot” explains how they bring people together from all walks of lift to enjoy this interactive dining experience. As an “out franchisee” of The Melting Pot, Renee Torres currently owns the Providence & Boston Melting Pots. Renee began as a waitress while studying biomedical research at National Institute of Health and was in the process of interviewing for Med school and needed a second job. What Renee loved about the franchise was how they promote from within. A majority of franchisee’s were all employees that worked their way up! You can read the entire article HERE. I found the Providence Melting Pot EXTREMELY LGBT welcoming and would feel perfectly comfortable taking my partner here for a romantic dinner. I am hereby “OUTING” The Melting Pot Providence as LGBT friendly and worthy of our business. 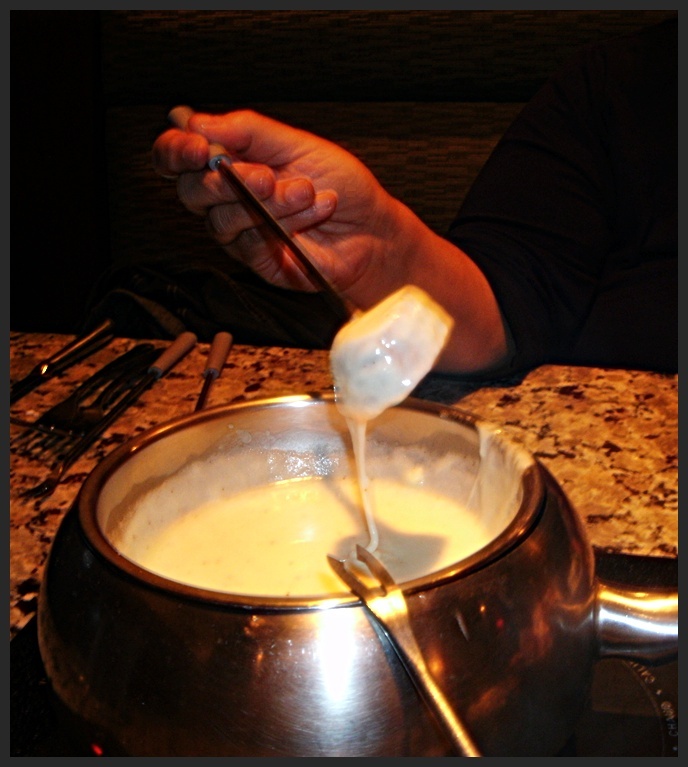 As most good things in life, our dining experience at The Melting Pot sadly, but satisfyingly, came to an end. I found myself leaving with an anticipation for a return visit and eager to spread the word about this amazing experience. 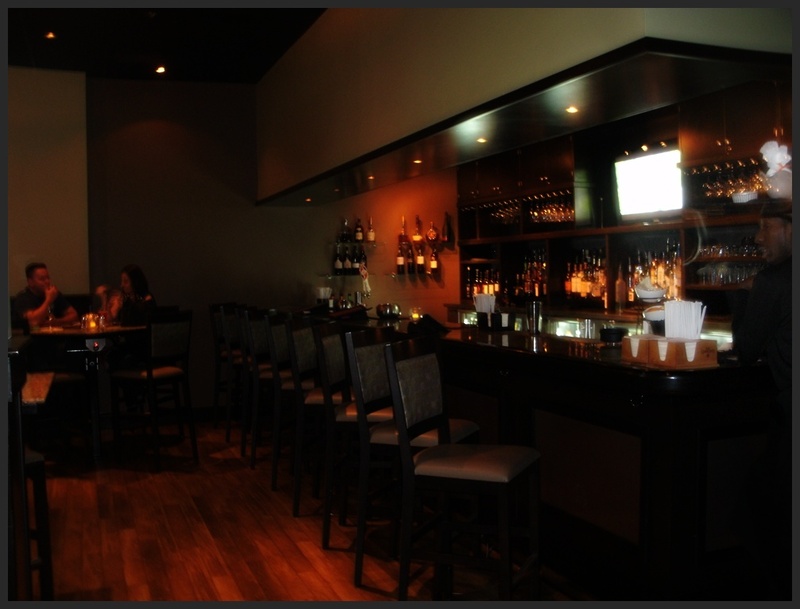 ← Legal C Bar – Dedham, MA – Gay & Lesbian Hot Spot! 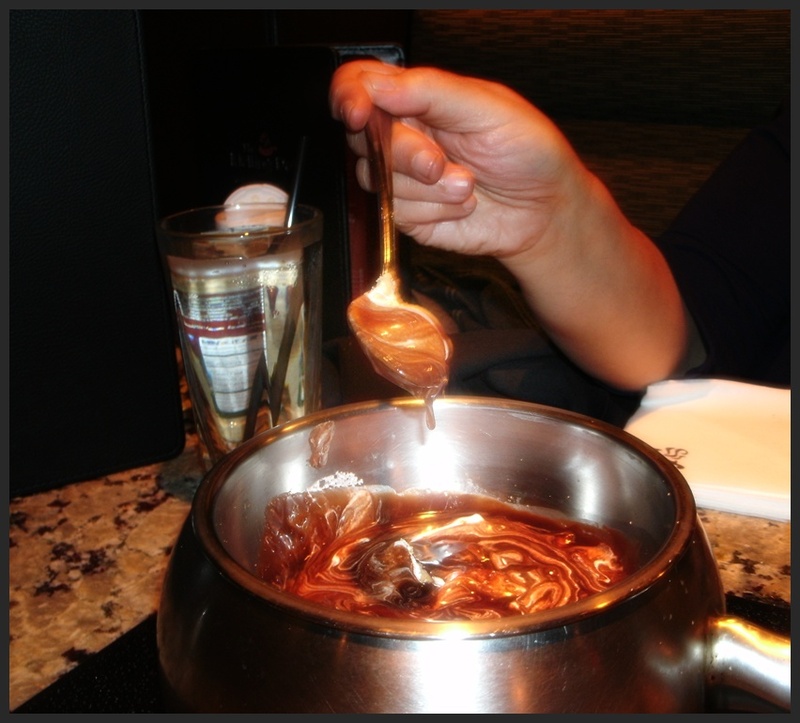 I LOVED the Melting Pot experience!! It was sooo much fun and the food was delicious! I especially loved the lobster and shrimp as it tenderly cooked to perfection in the Mojo broth, ready to be dipped in the intoxicating melted butter and garlic sauce. The manager and servers were so pleasant to talk to and the setting was private and classy. I enjoyed everything about the experience and can’t wait to return! This write up is right on the money!! Thanks for mentioning Echelon Magazine and GayFranchise in your article. 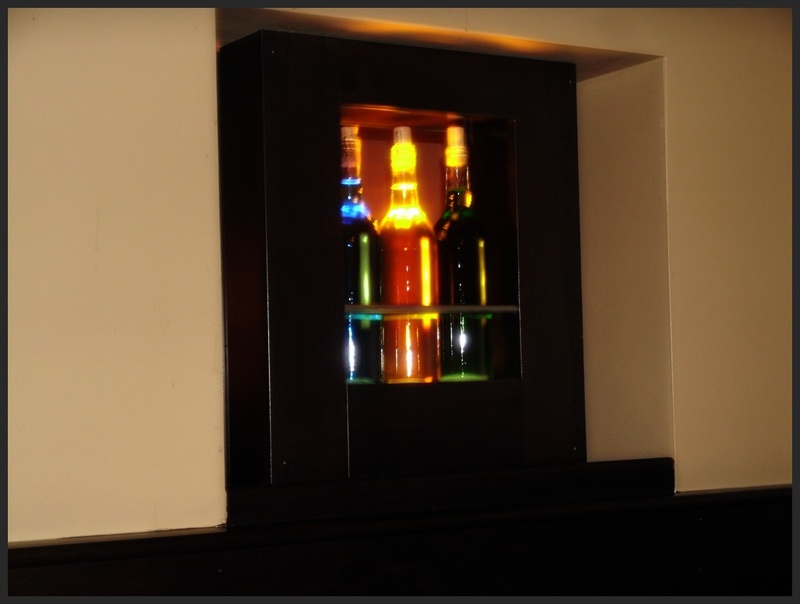 The Melting Pot is truly gay-friendly and a great place to own and eat.